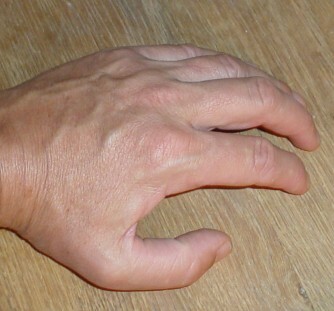 A relaxed hand has curved fingers! When you hold the violin the left hand thumb is still curved. The arm is hanging in the fingers. And the violin is supported by your cheek and shoulders. Not so much by your left hand. In the start your fingertips may be a little sore from touching the string. After some time practicing, you will develop thicker skin on the left hand fingertips. However in the start you should practice loose strings only.